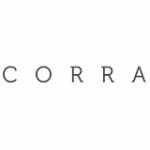 Join Corra and its partners (Magento, MyBuys, Bronto and Rackspace) for an ecommerce forum preparing retailers for the new generation of digital savvy shoppers. Specifically for brands and retailers in the apparel, beauty and lifestyle industries, the forum will offer you strategic ways to prepare for the next generation of digital savvy customers. You’ll also have an opportunity to meet and mingle with some of the leading innovators in the industry over an open bar.